Spin liquids are the rare phenomenon that occurs when the magnets inside the atoms of a solid do not order when they are cooled, that is to say they do not exhibit the same structured state as normal solids at very low temperatures. Instead, the magnets inside of these solids continue to have movement, much like a regular liquid. In an ordinary material like water, the state of the substance becomes very disorganized at a high temperature in the gas form, but gains more of a pattern as the temperature decreases until it turns into ice – an ordered solid – at low temperatures. One step in learning more about spin liquids is to create maps that categorize the spin liquids and help to understand what is happening in them. The team of researchers recently published a paper in Nature Communications, outlining a kagome map of spin liquids that demonstrates “a global picture about spin liquids,” Jaubert said. Kagome refers to the lattice structure of the materials that the team studied, which is named for the Japanese woven bamboo pattern. 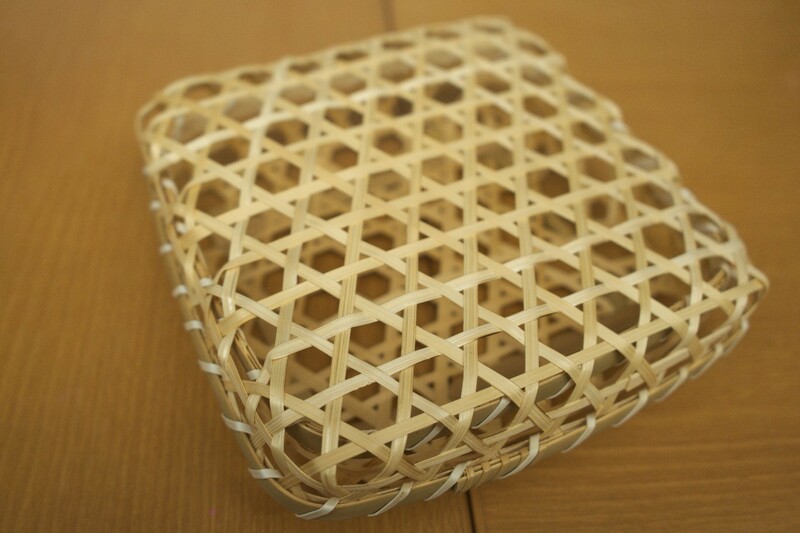 This kagome basket displays the kagome structure that inspired the name of the family of materials studied and mapped by the OIST research team. Therefore, it could be possible to find spin liquids in new materials corresponding to these two new models. The group’s research suggests that it is very promising to continue the quest for spin liquids in these models, and in particular to search for the corresponding materials where spin liquids can be found. By finding the similarities that exist between the models, the team believes that this could be a step in finding similar patterns between the different branches of physics. “We want to connect different aspects of physics together because they are all controlled by the same mathematical equations,” said Jaubert. The kagome lattice is named after a Japanese woven bamboo pattern. Systems with this structure are a breeding ground for spin liquids. The team of researchers work together on kagome spin liquids research.